Thomas Cleghorn. 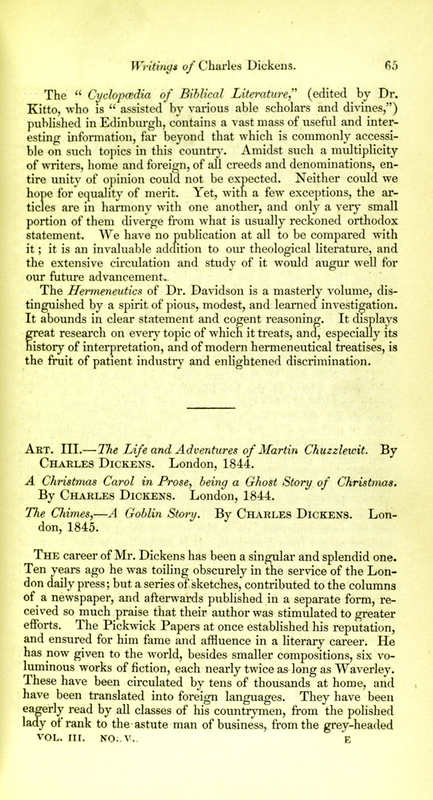 "Writing Of Charles Dickens." North British Review Volume 3. May (1845): 65. David Masson. 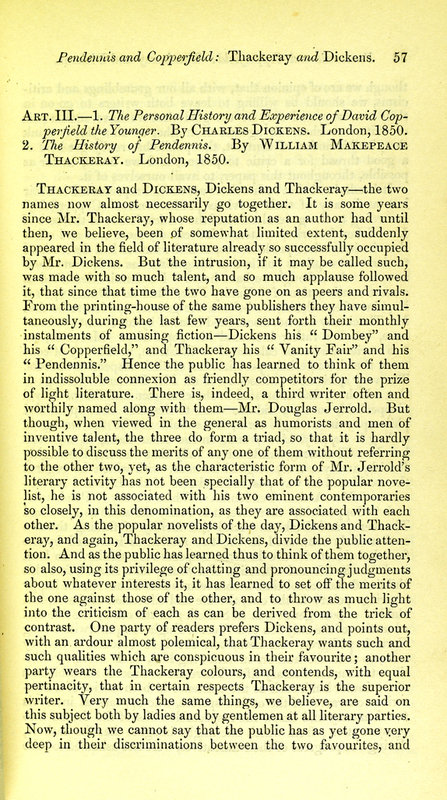 "Pendennis And Copperfield: Thackeray And Dickens." North British Review Volume 15. May (1851): 57.